Don't hate the cookies: Germany has influenced Facebook, Twitter, and Google to delete some hate speech...the definitions are not yet crisp. Prime cookies: More than half of Americans say they will do 'most' of their holiday shopping at Amazon. The other retailers don't even come close. Run, run, run, as fast as you can: You're trying to rethink your approaches in the mobile era. Try doing that when you're Adobe and it's Photoshop. 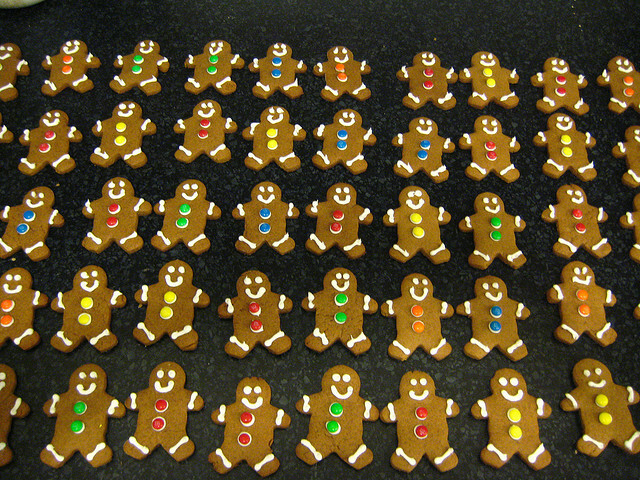 A private stash of gingerbread: Doing business in Europe? You now need to comply with newly passed EU online privacy laws, designed to protect citizens' data. Oh (ginger) snap: The online degree has hit a learning curve, says the Wall Street Journal. Lots of lessons in this article. Ginger persons excepted: The United States may start checking social media accounts when deciding whether to issue you a visa. Cookies packed for shipment: Gmail's Inbox app makes it easier for you to share travel info. Talk about cookies: For the Summer Olympics in 2016, NBC Universal will partner with data trackers to measure the audience in what it's calling a "billion-dollar research lab." Here's me with my cookies: Facebook now lets you download entire photo albums. 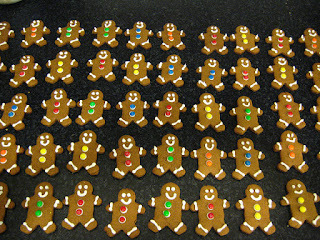 Charlie bit my gingerbread: YouTube's head of trends and culture explains what makes a video go viral these days. Stale cookies? This week, the blog looked at what to do when your speaker uses a repetitive phrase that tips off reporters. Last chance kitchen: There are just a few seats left in my January 14 and January 28 workshops on Creating a TED-quality Talk. Snap them up! More cookies? Buy my new ebook, The Eloquent Woman's Guide to Moderating Panels; sign up for my free monthly newsletter, or let me know how we can work together in 2016 with an email to eloquentwoman at gmail.com.